The Cleaning Lady provides cleaning service in Johannesburg, Midrand and Centurion for corporate offices, industrial areas and homes. Contracts for cleaning are according the the amount of people needed to cover the area, and the services rendered. Every company (irrespective of size, sector or position) needs a cleaning sevice and facility service to ensure a healthy, safe and efficient work environment for its staff and clients. 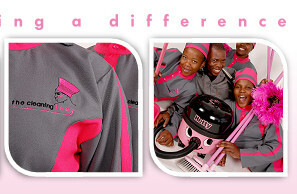 Service packages available include deep cleaning, carpet cleaning, tea-serving and waste management. 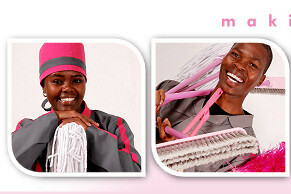 At The Cleaning Lady it is our commitment to deliver professional cleaning services you need to the standard you expect. We strive uncompromisingly to give our clients the best professional cleaning service in and around Johannesburg, and create a clean, productive environment which where you to focus on your own core business. 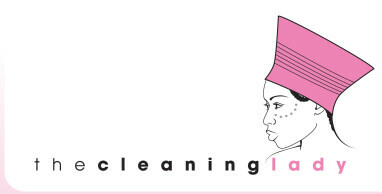 Service packages available include deep cleaning, carpet cleaning, tea-serving and waste management. 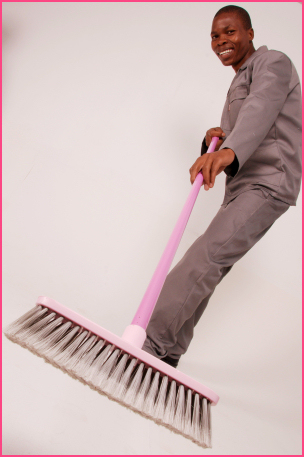 The Cleaning Lady creates a customized solution that meets your specific cleaning requirements. Click on the headings to read more about the cleaning services. TCL does ad hoc cleaning and also provides cleaning contracts in Johannesburg for Domestic, industrial, commercial / office parks as well as tea lady and garden service contracts. Nothing reflects the state of your company quite as your office space. The Cleaning Lady partners with many companies and office parks around the greater Johannesburg area to ensure that their offices are clean productive and ordered. Depending on the size of your workforce, budget and cleaning needs, allow The Cleaning Lady to clean your office spaces, boardrooms and functions area – leaving to focus on your core business in an clean office area that is hygienic and neat. We clean factories, warehousing, depots, hangers, and industrial units. Your industrial site can be cleaned regularly or as a once-off project – depending on your needs. Motivated and trained staff is the cornerstone of good client service. Dust removal from ceiling pipes, duct work, vents, light fixtures, etc. Scrubbing of floors and tiles, polishing stainless steel, wiping walls and more. Other services include: Builders clean, site cleanup, pre-inspection cleaning, handover cleanups and site maintenance clean ups. During our post-construction clean-up we can also show you a strategy for a regular cleaning and maintenance program to keep your facility looking its best day after day, year after year. With thousands of feet visiting shopping centres, restaurants, stadiums and public spaces, commercial areas need to call in the specialists when it comes to their cleaning needs. The Cleaning Lady will provide enough cleaning staff to ensure your floors, windows and surfaces are cleaned often and thoroughly. We strictly monitor your building with quality audits and follow-up visits by senior management to ensure the job is done to our expert standards and that your cleaning requirements are met. Schools, colleges, universities and other learning institutions require frequent cleaning to ensure the areas remain sanitary and bug free. The Cleaning Lady’s team of cleaners will ensure that papers are picked up, rubbish bins cleaned, floors are swept and washed, windows are sparkling and surface areas cleaned. Through our professional team of window cleaners, The Cleaning Lady renders an A-Z professional cleaning service that you can trust for your office . We have been in service for many years, and our many long standing, satisfied customers bear testimony to our efficiency. The Cleaning Lady provides the most dependable, honest, and quality workmanship. Our professional crews can handle your home or office with utmost care. We can design a safe, unobtrusive and cost-effective window cleaning program to meet your individual site requirements; we will certainly deliver an efficient, safe and consistent quality service! Cleaning your carpets on regular intervals extends the life of your floor coverings and ensures that you won’t have to replace them too soon. We offer an extensive range of carpet cleaning services planned to suit your office. This service is rendered to all our existing clients. The Cleaning Lady provides outsourced cleaning contracts for banks and financial institutes. Our professional crew offers quality cleaning services and we ensure that the banks and financial institutes are cleaned spotless. The Cleaning Lady offers a variety of contract cleaning services for corporate companies and cleaning services that meet your requirements. Our cleaning services for companies include office cleaning, window cleaning and carpet cleaning. The Cleaning Lady provides cleaning services to hospitals and other healthcare enviroments. We offer a high standard of cleaning and hygiene products and procudures based on the requirements provided by the hospital and the healthcare enviroment. A needs assessment will be done and a customised solution formulated based on usage. Deep cleaning is essential, especially in high usage areas. Let one of our teams come in and give your ablution facilities the sparkling once over. Regular deep cleaning should be part of your regular cleaning regime to ensure optimal protection for you and your staff. Trained tea ladies are available. Tea services are also part of the training schedule for general staff where varied services are required. Where required onsite seperation is done to streamline recycling efforts.